Planning to throw a Halloween party this year? If you need some spooky and fun Halloween party ideas, then this list will give you lots to scream and shout about! You don't need to spend a lot on your DIY Halloween decorations. Sometimes, all you need is a trip to the nearest dollar store. Here's a cute and easy Halloween decoration you can make. Have a bat-themed Halloween party with this easy and inexpensive bat origami craft. Unusual and weird-looking snacks are the stuff of Halloween party dreams. Get your dose of these treats here and scare your guests out of their appetites. You'll find some pretty scary Halloween recipes here. Do your kids want to help out with the decorating? Have them make these not-so-spooky spiders. Make your next crochet project and turn it into a DIY garland. Halloween parties don't always have to be spooky, they can be cute and charming. Give your guests a treat by making these candy-filled tombstones: The easiest party favor you can ever make and give out. Grab some syringes and start making these Halloween Jell-O shots. The concept is so brilliant, I may use it for my other parties too. Want to subtly keep people out of your upstairs bedrooms? Get this creepy idea and grab some yellow tape and a little decor to keep people out. Keep it traditional and make this homemade candy corn for you and your guests. They'll also be great to hand out to trick or treaters. You can never go wrong with candy corn. Looking for easy Halloween treats to make? They'll adore these caramel-dipped apples. A healthier substitute to your store-bought Halloween candies. Planning to just have a few people over, have some tea first with this creative pumpkin tea set. It's actually made out of real pumpkins. If you want a non-alcoholic party drink, here's something you can serve. It's a Thai tea recipe that's delicious and creepy at the same time. Save on calories and eat healthier with these fun Halloween food ideas. It's a great party food idea to have the kids eating healthy with all the sweets around. This is a quick and easy Halloween party idea you can make in a flash. Top it on salads or serve it with your cocktails. Need a taco dip recipe that will creep people out? Get it here and make a graveyard that's fun and savory. I'll probably try digging for zombies. Want an edible giveaway for Halloween? See how you can make them here, and once you're done, just hand them out to all of your guests. You can even hang it during the party to serve as a Halloween decor too. Want to serve some s'mores for Halloween? Make this stunning s'mores bar for your guests. Need some easy sandwiches to make and serve at your party? Try these. They're adorable in the Halloween kind of way. Grab some little skeletons and turn them into DIY trophies. Start awarding at the end of your party. 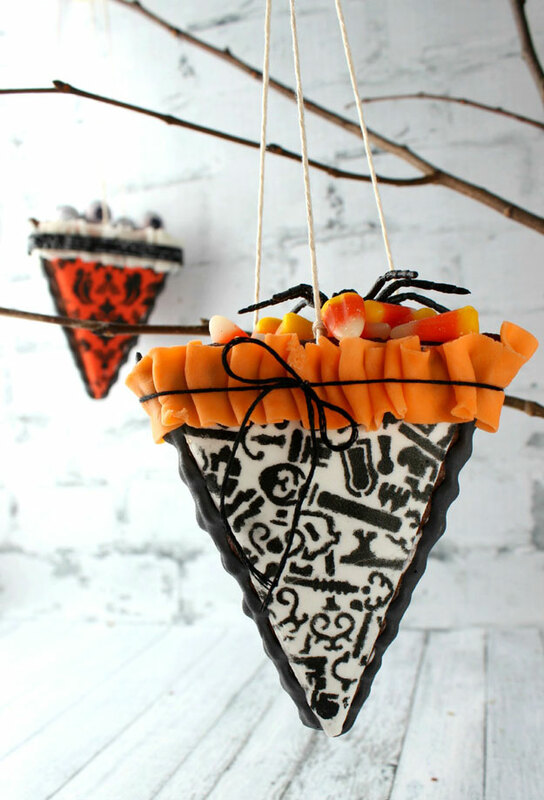 From decorations to shots, down to Halloween party food ideas, this list will help you throw the most spooktacular party this year! 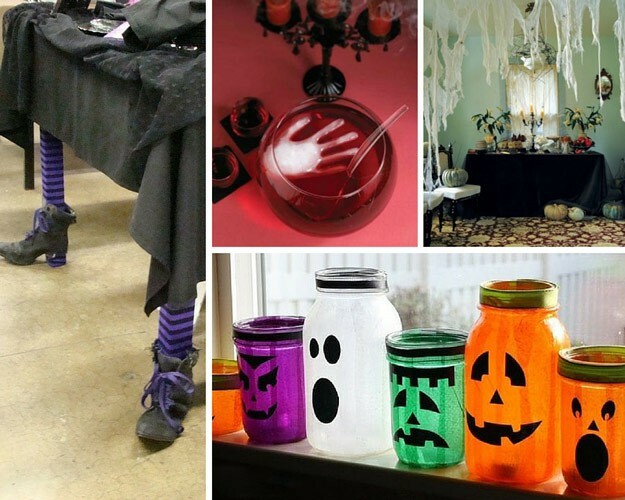 Doing any of these ideas will guarantee your Halloween party will be a blast. With all these creepy Halloween party decorations and food hacks, all your guest will have a ghoulishly good time. So start preparing and make this year's Halloween one for the books! Got some Halloween party ideas of your own? Share it in the comments section below! I'd love to know what it is.